Argh! Just made the world’s biggest rookie mistake yesterday. Thanks Mish for pointing it out. Can you please try visiting my new site again? Hopefully, it’ll work (better) now. I’ve finally moved to a self-hosted site – an idea I’ve been playing about with for ages. Please visit me here, and update your RSS feeds and bookmarks. I’m going to miss the place, but it’s time to move on. See you around at the new place sometime soon! “Charming” – That’s the first word that came to mind when I turned over the last page of this novella. I haven’t seen the Audrey Hepburn movie, so I didn’t really know much about the plot (maybe I really do live in my own little cocoon) prior to reading the classic. There’s Holly Golightly, who gets the star billing, as the writer recounts memories of his glamourous neighbour many years later. Holly Golightly is a young woman, drifting through life in New York in the 1940s: the bars, the martinis, parties, the social scene. A complex character, who’s a wonderful combination of being naive and stubbornly independent, she keeps her friends close yet at a distance. As her past tries to catch up with her, and she unknowingly gets entangled with the Mafia, she contemplates what she wants from life. This was my first foray into the world of Capote as well, and I was blown away by the rich lyrical writing, by the richness of Holly’s character, and by some of the cleverly crafted paragraphs. 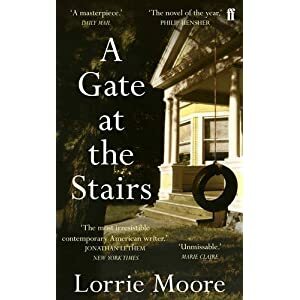 It was a delightful read, and I think the story is going to stay with me for a long time, as will Holly: a character that frustrated me to no end, but I still couldn’t help but like her. In terms of books being confusing and complex, this one ranks right up there. New characters being introduced every couple of pages, the story taking dramatic turns, changing from showing corruption while trading in the 18th-19th century to a surreal adventure story, and there’s a love story thrown in, just for good measure as well. But no – that’s not all. In fact, that’s simplifying it much. The book has one of the most graphic opening chapters, where a child is coming into the world, already dead. However, by some miracle, Orito (a midwife) saves the life of the child (and the mother). It’s 1799 and the place is Nagasaki. Christianity is banned, most of the women are “wives” or prostitutes, and the locals and foreigners interact with the help of “interpreters,” as the Dutch aren’t allowed to study the local dialect. The importance of the birth and the sequence of events it triggers isn’t obvious in a first chunk of the book. Instead, we’re introduced to the Dutchmen who inhabit the artificial island of Dejima – the corrupt greedy Dutch, working for the Vereenigde Oostindische Compagnie (VOC, or Dutch East India Company). Most of them are corrupt, trying best to figure out how to forge the books for their own personal gains, but there’s the one employee/clerk who puts honour above all else : Jacob de Zoet. Things get complicated when he falls in love with Orito, the midwife, and they get even further twisted when she’s abducted and sent to the Shrine of Shiranui – where she’s set to become a nun at a convent. The Shrine isn’t really a convent though, and the Goddess isn’t really a Goddess. Think The Handmaid’s Tale… with a twist. And here, we’ve just finished part one of the book! I don’t want to give too much away, but the rest of the book is a whirlwind, with things happening at the blink of an eye: power trips and struggles, love, betrayal, tragedy, courage and a thirst for the truth. The writing is extraordinary – something I’ve come to expect from David Mitchell’s books (despite reading only the two). The ambience he creates almost seems to transport me back to the eighteenth century Dejima/Nagasaki. Considering most of my historical association with Nagasaki stems from August 9, 1945, this was a pleasant change. 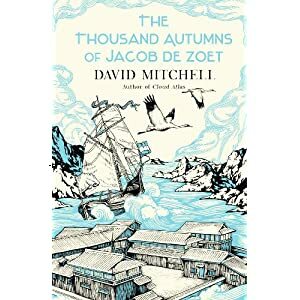 Mitchell even gave a nod to the growing friction between the English and the Dutch in their quest for power in Asia, and the extent to which the respective parties would go. Fantastic, as it almost seemed like text book stuff – but so much more gripping. I enjoyed the book, but not as much as number9dream, nor as much as Cloud Atlas. I thought this book was less “fun,” and more “serious” – the experimental style of Mitchell’s writing does still exist, but I think, the ambition of this novel lay more in the plot than the surrealism or ambiguity that I’ve come to associate with his writing. I’ve still got two unread books by David Mitchell, and I’m curious to see how this would compare with them. Do you have a favourite book by David Mitchell? What do you think makes the book stand out? 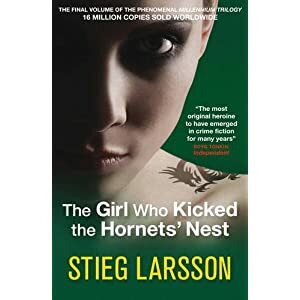 This is the third and final book of the Millennium trilogy, and I’m almost annoyed that there will be no more novels of Lisbeth Salander or Mikael Blomkvist on my reading list again. The final book in the trilogy opens with Lisbeth being shot several times in the head, after she attempted to kill her father, Zalachenko, who will be pressing charges. Zalachenko, a KGB defector, has been protected by a secret governmental organisation ever since he entered Sweden. Truths have been concealed, reports fabricated and a web of lies spun over the years, by various people in positions of power, and they are now threatened as to what might be unveiled thanks to the latest developments. Their masterplan is to get Salander committed to an asylum permanently. At the same time, Blomkvist, the irrepressible journalist at Millennium, is trying to figure out what’s being covered, by whom and why. It’s the classic battle between the good guys and the bad guys, with some necessary sacrifices being made by the “bad guys” – some people being used as pawns, and some being eliminated altogether; and both sides trying to outdo the other. 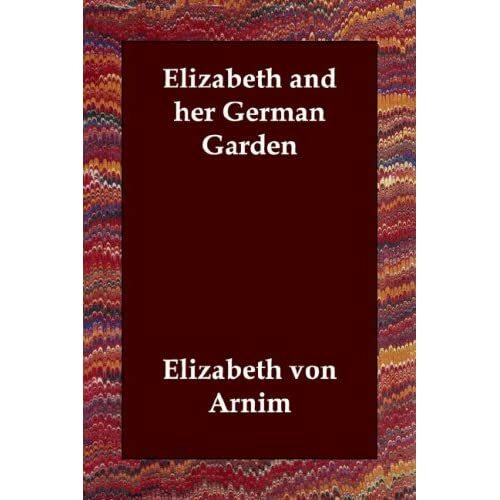 Most of the action in the book happens in the police/government offices, the hospital where Lisbeth is slowly recuperating, and the newspaper offices. The themes so far prominent in Larrson’s books continue: politics and corruption in Sweden, the subjugation of women, the importance of good investigative journalism, and the Big Brother world we live in, where constant surveillance and hacking can get most answers. A couple of other stories intertwine in the finale as well, making this book a monster of 750 pages (approximately). Some of the details seem unnecessary, and I did spend the first two hundred odd pages just trying to get to grips with the myriad of characters that kept getting introduced. Once I got past that, I just lapped up the rest of the book in no time whatsoever. This book seems like it would make a good TV series (I’m thinking Alias right about now) – at least one season of a TV series. It’s action-packed, things keep happening, and there are a number of cliffhangers. At the very outset, we know who some of the bad guys are, but as the book continues, the counter keeps incrementing. Plus, if one’s interested, it does give a view of Swedish politics and its history. Salander and Blomknist remain the “white” characters in the “black and white” world that this book depicts. Annika, Blomkvist’s sister, plays a much bigger part, and she instantly became a favourite. With engaging characters (including the bad guys), and an incredibly well thought out story, I did enjoy this book. It’s interesting, but the charm of the book doesn’t lie in the ambience that’s created, but more in the way things turn around and the characters act. It’s pop-fiction, but it’s gripping pop-fiction, so even if you’re turned off by seeing this trilogy on bestseller charts and ads everywhere, it’s still worth giving it a shot, I think. You might be pleasantly surprised – I was!